The phrase “heart disease” is often used interchangeably with “cardiovascular disease.” While the term technically refers to any disease that affects the cardiovascular system, it is usually used to refer to those related to atherosclerosis (arterial disease). These conditions have similar causes, mechanisms, and treatments. The first and most important part of treatment for anyone with cardiovascular disease is changes in lifestyle to promote a healthy heart. This includes eating a heart healthy diet low in saturated fat, cholesterol and sodium, exercising at least 30 minutes most days of the week, quitting smoking and limiting alcohol consumption. If medications aren’t enough, surgery may be recommended to clear blockages. 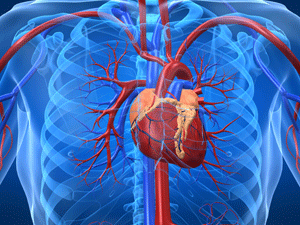 These include angioplasty and stent placement, coronary artery bypass surgery and minimally invasive heart surgery.